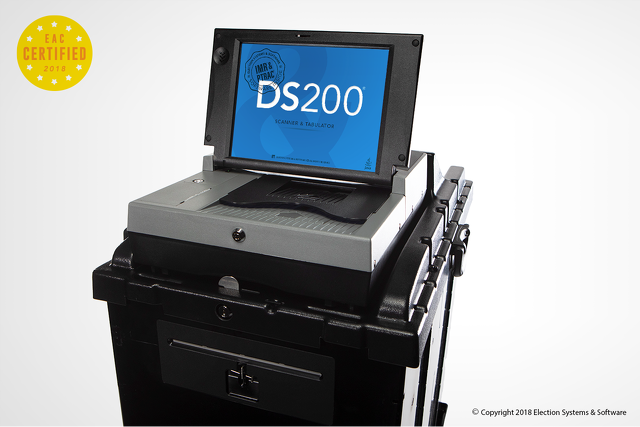 The DS200 and the Express Vote are new voting machines that will be ready for use in the May primary in Centre County. BELLEFONTE — After a mandate from Gov. Tom Wolf last year that decertified the 25-year-old voting machines used in Centre County, county commissioners have agreed to purchase new voting machines, which will be ready for use in the May primary election. After the county looked at many different vendors for the equipment and heard input from various election boards, the commissioners agreed Feb. 5 to purchase the new equipment from Election System and Software for a total of $1,192,571.75. The machines themselves cost $860,571.75 with the additional cost going to the service fees, warranty and maintenance and software license for the equipment. 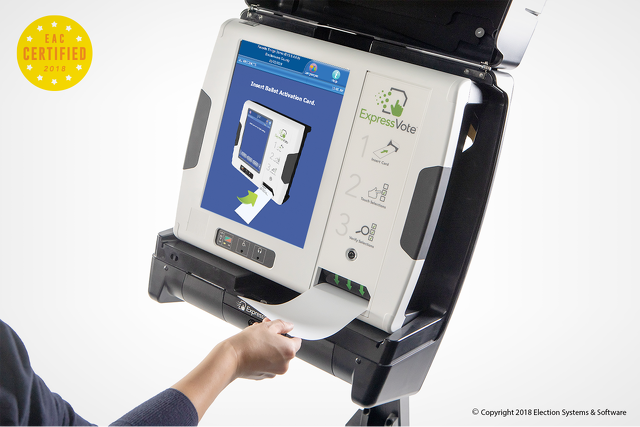 ESS is the same company that operated the county’s previous voting machines. The state has agreed to chip in $180,000 dollars for the upgrade, but commissioners are hoping that the state will agree to cover up to 50 to 60 percent of the costs. The election staff will be trained and ready to go by Election Day, but the equipment is not that different to operate than the old equipment. The commissioners said voters should be able to navigate Election Day without much difficulty. “This new equipment allows us to remain paper-based in our ballots. It improves the ADA accessibility in the new machines and gives us some really good safeguarding improvements that we may have not had with our other machines. It just adds another layer of safeguarding and security,” said chairman Commissioner Michael Pipe. He added that voters will have a choice at the polls to use the Express Vote machine that is catered to be ADA inclusive and the DS200, which is similar to the voting machines currently used in the county. Commissioner Mark Higgins said Centre was one of the only counties in the state to hold two public town hall meetings concerning the voting machines, and the county received encouraging feedback. “For the average citizen, it is not going to seem very different at all. You are still going to see a paper ballot. You are still filling in bubbles. Maybe the ballot color is slightly different from prior years, but it’s the same thing,” said Higgins. Besides the added security with the updated equipment, the new machines are also more efficient and should make things slightly less time-consuming on Election Day. Higgins also added that this was the least expensive contract they received for any new voting equipment. Elections Director Joyce McKinley said the county is one of the few in the state that will be ready with the new machines by the May primary and that many counties are still determining what to do. Commissioner Steven Dershem said he felt the change was unnecessary, but the state mandated it so it became a necessary move.